The service should provide a problem-solving solution in some innovative way. The service should be simply and easy-to-use. The service should make your life easier, not harder. Essentially, it makes a wonderful one-stop shop for your communication needs. Since so much of how we communicate and work these days depends on the Internet for better solutions, it seems a miracle that something like Skype wasn’t this popular earlier on. But before we get ahead of ourselves, I’d like to take you through the features and functions of Skype to show you that I’m not simply a raging fanboy – I’m someone who appreciates the different ways Skype improves our lives without getting in our way. Over this holiday season, we should be reminded that technology is here to serve us and can be used to enhance our relationships and communications immeasurably. Skype fits the bill. If you’re “Skyping” with someone, there’s a good chance you’re referring to the most fun and most personal feature of Skype: video chat. Skype, of course, isn’t the only video-enabled communications portal out there, but when it comes to this prime-time feature, it definitely delivers the goods. First, video calls are free – and this extremely reasonable price will become a bit of a recurring theme in this review. Skype-to-Skype video calls are essentially a snap, and the program does an excellent job of providing you with the “video-conferencing-for-dummies” buttons that novices require. Overdoing it with the bells and whistles violates my software standard #2. Consequently, if you have to recommend a program through which you and your grandma could video conference, your recommendation should go straight to Skype. If she’s a tech novice, download Skype for her, add yourself to her contacts list, and show her the one or two buttons she’ll need to press when she wants to see you on video. There should be no excuse for any latop-bearing granny – no matter how hopeless with technology – to avoid an excellent service like Skype. The quality of video is not dependent on Skype, it’s dependent on your web cam. So if you have some issues with how blurry the faces look, consider upgrading to an HD web cam – and remember, Skype will be able to implement that camera just fine. Not all of us have web cams. Whether we still relish the actual face-to-face interaction of the real world or we simply have a laptop too outdated, sometimes our conferencing has to be somewhat limited. Skype’s features, of course, extend to this less-visual world, and you’ll be glad they did. When you’re talking about Skype’s phone features, there are a couple of things to consider. First, the cost. 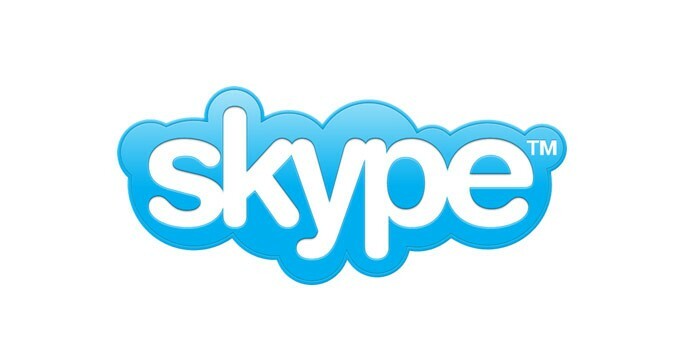 You can pay for Skype phone calls if you’re using Skype to call someone on a landline, cell phone – anywhere but Skype. The calls are free, however, if you just want to have a voice chat with another Skype user. We recommend telling all your friends about Skype so as to minimize or even eliminate the cost of communicating. Calls are easy to make – simply have a microphone and speakers and your computer will essentially become a phone. The idea of using a computer to make phone calls might sound a little sci-fi, but trust me: it’s a piece of cake. Downloading Skype will also allow you to view Internet listings of phone numbers as Skype buttons – in other words, you can simply Google someone’s phone number and you’ll find a button to call them with rather than simple text you need to write down. The world of Skype doesn’t revolve around the telephone. You can use it like any old online Instant Messenger. You can integrate a Skype App on your mobile phone in order to make free calls to other Skype users. The more you learn to use Skype and the more you become comfortable with it, the simpler your life will be. Place free Skype-to-Skype calls, as well as separate Skype calls from your normal plan. If you already have clients on Skype, you won’t have to worry about international minutes. Set up a “Skype To Go” number for international calls. Enter in a number you’ll want to call and Skype will send you a number you can call for the predictable Skype rates. This is great for avoiding roaming charges. Large availability – Skype is compatible with the major phone companies, including easy-to-use applications for the iPhone and Android. Although I haven’t tried these features myself, they’re put in very simple terms on Skype’s web site. Of course, the bottom line for many of us these days is simple: what does it cost? Many of Skype’s features are free if you use them properly. Call someone else on Skype? Free. Videoconference via Skype? Free. Since Skype is one of the more popular communication programs out there, the simple amount of other people using Skype is one of the major selling points. The more people use it, the less money you have to pay. But if you’re really thrifty, you can still find ways to manage your Skype account without ever paying a dime. Will Skype revolutionize your life? It’s not often I get to say this, but: yes. Skype delivers on all the technology we dreamed of when we were kids. International business calls, instant videoconferencing anywhere in the world – it’s all within our grasp. And it’s simple, elegant, and free. It’s good to live in the 21st century. Yeah, if you want to be cost effective, you should use Skype. Great review, Dan! Skype is great, I use it all the time. I’ve never used is just for making calls though, only video chat. Wouldn’t it be just as simple to use a cell phone? I like Skype more on desktop. Making calls with the mobile app didn’t seem very seamless to me.